Although a healthy life style contributes to longevity, about a quarter of it is genetically determined at middle age. But very little is known about the genes and molecular pathways that play a role in longevity, says Eline Slagboom, a professor of molecular epidemiology at the LUMC. "Researchers are often studying patients. They are looking for something which protects people from disorders by looking at people who obviously do not have this protection. We decided to approach the subject from the other side." Together with professor Rudi Westendorp (LUMC), Slagboom collected a unique group of healthy people over the age of ninety. These people were selected to have a living brother or sister also over the age of ninety. The sons and daughters and their partners were included in the research and information about the deceased parents and other siblings was collected. "This group of people is protected from diseases. Not only the long-living sibling pairs but their parents and offspring live about 30% longer than their birth cohort. We are trying to find out what this natural defense is," says Slagboom. "The unique feature of this project is that we are looking at long living people in families with many long living members. We hope this will tell us something about the factors protecting these people from ageing diseases such as cancer and cardiovascular disease. We expect that the factors we will find have an effect on multiple risks." The researchers want to identify genetic variations in this group of people that have a hereditary taint for longevity. A genome wide scan was performed on all 1000 people in the cohort. About half a million genetic markers equally divided over all chromosomes was analyzed as a representative scan of the entire genome. From over one hundred genetic variations, Slagboom identified twelve potentially interesting ones. Remarkably, many of these are not located in a gene. Analysis showed that some variations are more frequent in healthy ageing people representing a longevity locus, a place on the genome associated with long life. Some variations are less frequent in the highly aged people representing a locus contributing to mortality. The most important mortality variant that was found, which is almost absent in the longevity families, contributes to death from cardiovascular disease and cancer. "This is exactly what we expected. The loci we found have an influence on more than one disease," says Slagboom. "After these findings were compared with other studies we realized how remarkable they are. Renowned genome scans performed during the past two years found risk variations for several diseases, but these do not contribute to mortality since the long living people in all our studies have just as many of these risk alleles as young people. We also found true longevity loci that protect from disease risk factors." The researchers are now trying to find through which genes the genetic variations influence longevity and they have found one already involved in glycosylation. Replication studies for confirmation of their findings in more than 8000 highly aged people is ongoing. The identification of biomarkers is also part of the project. A biomarker expresses at a certain age. It predicts the biological age, the progress of a certain disease and morbidity and mortality. "We need to go back in time, to study the older people at an earlier age. The study of the offspring of the sibling pairs is essential for this aspect," explains Slagboom. Various biological and molecular aspects are studied in blood and tissue samples of the offspring, such as morbidity, ageing of skin, changes in cells, RNA, DNA and metabolites and proteins are analyzed. An important outcome of this part of the study is the study platform that will be developed. 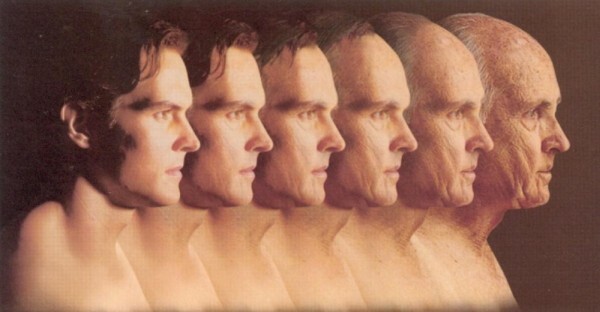 With such a platform, companies can monitor which effect their product has on ageing and longevity. "After two years of hard work, all the workpackages are returning interesting observations," says Slagboom. The results indicate that the children of the long living people are indeed different. For example, they show lower glycosylation which indicates a favorable regulation of cell signalling. The lipid profile shows that these people have larger LDL cholesterol particles in their blood instead of the harmful small particles. But they also suffer less from cardiovascular diseases and diabetes and they use less medicines for these diseases than their partners. The cooperation within IOP is very successful, says Slagboom. "The major industrial partners are still interested after several rounds. And the rest of Europe is inspired by our project." Within the European GEHA study of which Slagboom is a board member, all research groups started to collect data in exactly the same way as in this project in eleven countries. One of the industrial partners that has been involved from the beginning is Unilever. They have helped the researchers with measurements, for example, of RNA expression and facial ageing. "The important aspect of the research in this project to us is the focus on biological age and health," says David Gunn from Unilever. The company is interested in the identity of genes that influence biological age and the interactions that these genes have with lifestyle. "The investigations will help determine how gene variants are able to influence biological age, and could identify new ways to maintain our health as we age through optimal nutrition and healthy behaviours." A follow-up on this project is a co-operation between LUMC and the Erasmus Medical Centre in Rotterdam, called the Netherlands Consortium of Healthy Ageing (NCHA). The researchers will start with the genetic results from the IOP project as leads. Eline Slagboom explains: "We will look at the influence of genetic factors on the appearance of cells and molecular patterns. On the other side we will investigate what this has to do with diseases in humans. We may find genes which are beneficially influenced or a pathway which induces a longer life. Eventually we may be able to influence this pathway and develop a therapy." NCHA started in September 2008 and will run five years. After two years, other parties should become involved. It is financed via the Nationaal Regieorgaan Genomics (NRG).